Helen Jones settles in a town veiled in mystery, and takes on its intrigues. Matchmaker: Curse of the deserted bride was available as a giveaway on January 20, 2018! 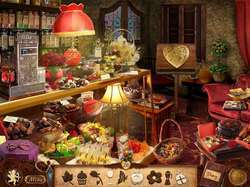 More than 50 unique mini games. 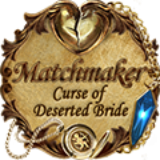 How would you improve Matchmaker: Curse of the deserted bride? 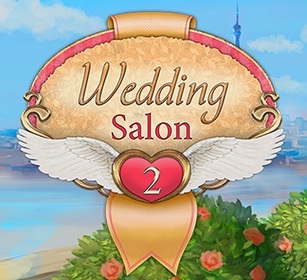 Create the wedding salon of your dreams – hire staff and broaden the range of products! Become engrossed in a gripping story full of intrigue and treachery! Dive into a fascinating story, in which the mundane is deeply intertwined with magic! Share the exciting moments of an unforgettable journey with the Smith family! 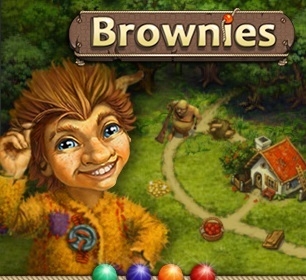 Befriend the brownies and challenge the evil Boggart who holds all the habitants of the magic land in fear! 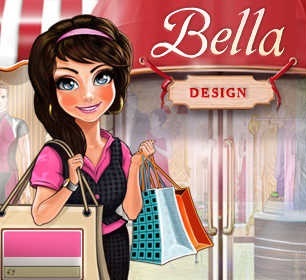 Discover the wonderful world of fashion in the new Bella Design game. Create a chain of fashion boutiques and make your mark in this wonderful business. Helen Jones has found her true vocation as a matchmaker who helps lonely hearts meet each other. 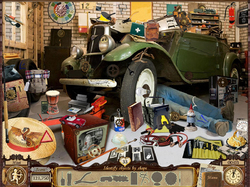 To find perfect matches, Helen has a unique approach: during a visit she looks for objects which may characterize their owner. Use your powers of observation to spot the hidden objects and decide who will be the ideal partner for each person, and your creative ideas to help your friends make original gifts, and to organize an unforgettable first date! Unfortunately, I don't have time to review this, the second game given away today. However, the following information should be of help. The downloaded zip file contains the games already expanded game folder. There is no installation file. You have to manually place the unzipped folder to wherever you usually have your games installed to, then create a shortcut from the application file named setup. Then rename the shortcut to Matchmaker Curse of the deserted bride. Would not install on either my computer or my wife's. Both have Windows 10. Runs from setup on wife's computer, but can not create a shortcut. A real pain. Although I didn't see this mentioned by WR, this is very familiar, so I think either this was a previous giveaway and I played it then, or the first in the series was very similar. I'll have to see as I get further. That said, my big gripe is that when I went to exit after playing a while, it said all my progress "on this level" would be lost. But since I had seen NO indication that I ever moved to another "level", I thought all my progress in the game so far would be lost. I couldn't keep going since I sort of sometimes have a life, so I took a chance and quit. Out of curiosity, I then opened it again, and it started pretty close to where I'd left off. So I guess "levels" are whenever the scene changes? They should have made that clearer, as I see others mentioning this and it leads to confusion. That said, so far it's a fun game and a very nice mix so far of puzzles and HOG, so thumbs up for that. As for the fact that this doesn't seem to install like the usual, that didn't bother me (since I was forewarned here) and I liked that I didn't have to the "turn off your AV and activate" dance. I should mention that when I exited the game the first time, I got a warning that this game didn't seem to install correctly and should I run in compatibility or did it actually install ok? and I clicked it installed ok and it was fine when I reopened it. Just in case someone else gets that. Although I didn't see this mentioned by WR, this is very familiar, so I think either this was a previous giveaway and I played it then, or the first in the series was very similar. I'll have to see as I get further. That said, my big gripe is that when I went to exit after playing a while, it said all my progress "on this level" would be lost. But since I had seen NO indication that I ever moved to another "level", I thought all my progress in the game so far would be lost. I couldn't keep going since I sort of sometimes have a life, so I took a chance and quit. Out of curiosity, I then opened it again, and it started pretty close to where I'd left off. So I guess "levels" are whenever the scene changes? They should have made that clearer, as I see others mentioning this and it leads to confusion. 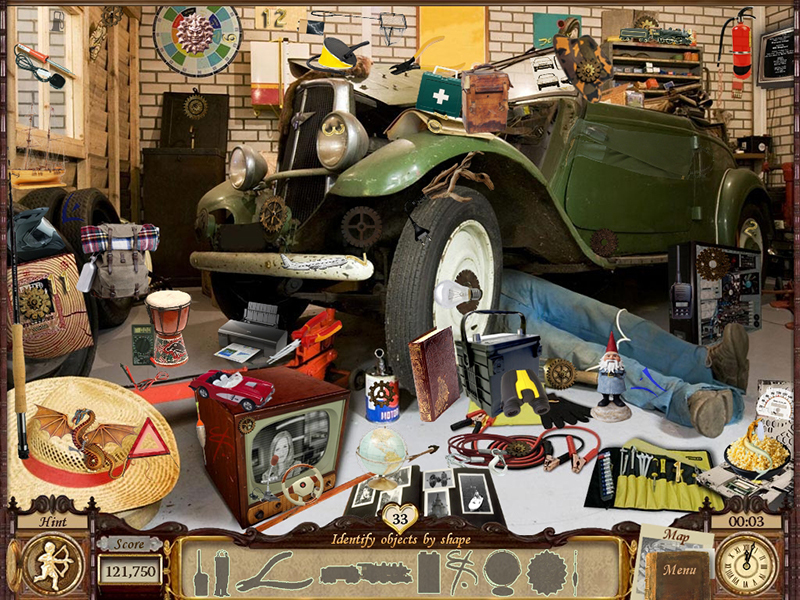 That said, so far it's a fun game and a very nice mix so far of puzzles and HOG, so thumbs up for that. As for the fact that this doesn't seem to install like the usual, that didn't bother me (since I was forewarned here) and I liked that I didn't have to the "turn off your AV and activate" dance. I should mention that when I exited the game the first time, I got a warning that this game didn't seem to install correctly and should I run in compatibility or did it actually install ok? and I clicked it installed ok and it was fine when I reopened it. Just in case someone else gets that. Is this version any different than the one I got in April 2016 from this site in a zip file that is nearly 320,000 bytes? IOW, have there been any updates or changes to this game software since then? I'm trying save download bandwidth with my ISP. Same version, slightly different method of installation, so some files from the giveaway side are missing. James, errr don't you mean 320,000,000 bytes? Mbytes is millions not thousands 320,000 bytes will download in a second or so including connection setup time! Not sure what any of you are talking about. Downloaded and installed fine on Windows 10 build 1709. Installed using the setup.exe file to unzip into another directory. Runs by clicking setup.exe in the new directory without manually moving any files. I shut off my WiFi and it works just fine offline. Marcy, it works the same for me on Windows 8.1. I just extracted the contents of the zip file and find that setup.exe runs the game without any problems. I guess that just doesn't match others' expectations for an elaborate installation routine. Here the same, download went OK, the setup file just starts the program so there is no installation on the hard-disk. The game remembers your name, but I'm not so interested in a game that you can't play offline. program just runs, it does not install from the file. Have the same problem. No activation possible with no installation. Pretty sure won't work offline. Any suggestions, whiterabbit? The link is broken (the second time in a couple of months). If you go directly to the website, the game is $9.95. Hope they get the link fixed before too long! All in all - uncomplicated, charming Game with decent graphics that will delight any regular Hogger! And in my case - give me contemporary looking objects in kitchens, bathrooms, bedrooms, garages and I'm happy, lol. Recommended, thanks. 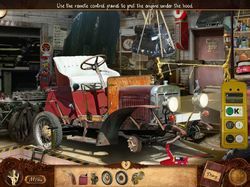 Hi, Today's Game 'Matchmaker 2: Curse of the deserted bride' (sequel to 'Matchmaker - Joining Hearts') is where character Helen Jones puts her mind and hands to unveil mysteries deep in a heart of town she settles in and to work out how to lift the curse of deserted bride, of course:) All in all - uncomplicated, charming Game with decent graphics that will delight any regular Hogger! And in my case - give me contemporary looking objects in kitchens, bathrooms, bedrooms, garages and I'm happy, lol. Recommended, thanks. Is this the same game that was on offer Apr 4, 2016? Yes it seems to be it still on my computer.. But I do not see 'Matchmaker - Joining Hearts' on my computer wish they had put that one up. JB, Yes it seems to be it still on my computer.. But I do not see 'Matchmaker - Joining Hearts' on my computer wish they had put that one up. So ... Is it the same game but different version ? Thank you for the clarification .